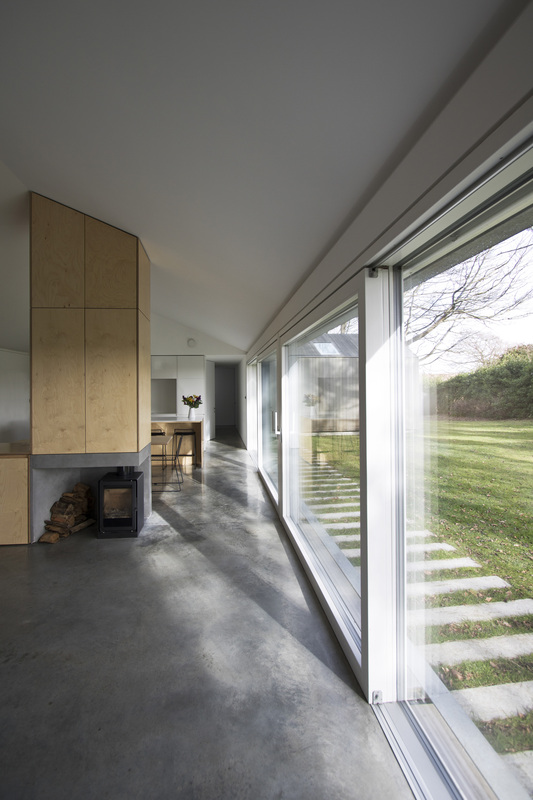 We were approached by Meloy Architects early in the design process of this house to help their designs achieve Passivhaus performance. The site is located within the South Downs National Park alongside an ancient drove road used by fisherfolk to carry fresh fish from the old fishing village of Brighton to the county town of Lewes. 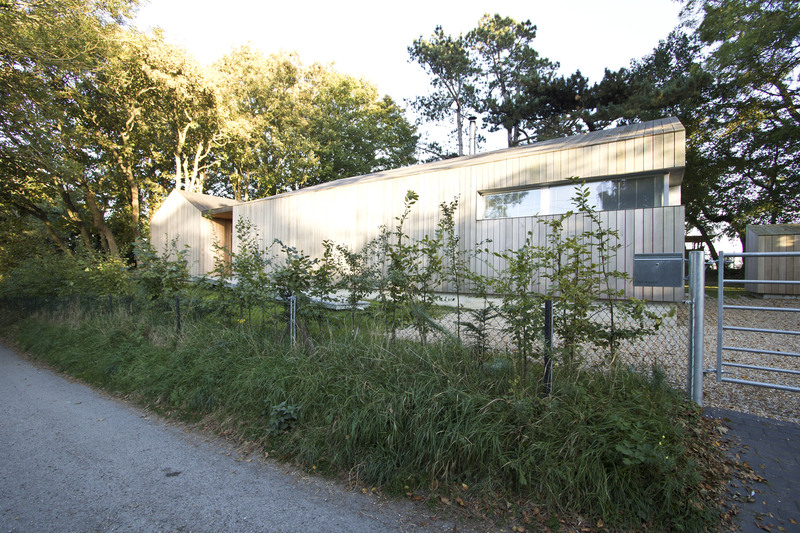 “The house was conceived as a memory of two dilapidated sheds which the project has replaced. The first contains an open plan living area and benefits from a southerly aspect with full height sliding glazing onto the rear garden. 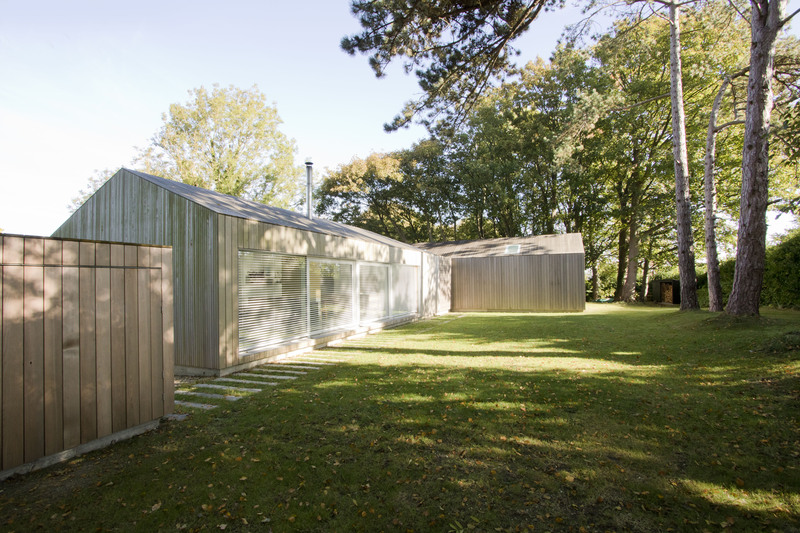 The second contains the bedrooms with east facing windows giving morning light and a more private aspect onto a wooded copse. We continued to work with Meloy Architects while the project was on site providing advice on achieving the necessary airtightness required by the Passivhaus Institut to limit heat losses. We modelled all critical construction junctions to assess heat flows and eliminate thermal bridging. 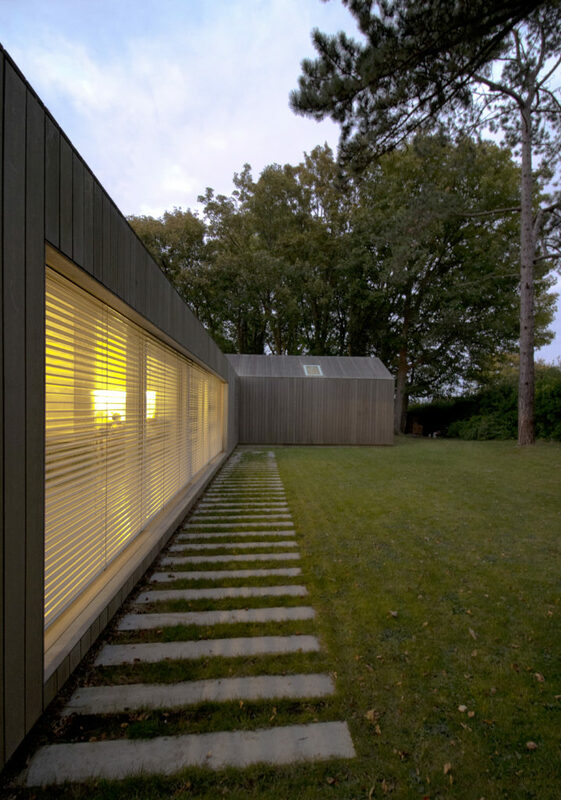 The result is a dwelling that requires little additional energy for heating. Hot water is generated with an air source heat pump and additional space heating can be provided through a sealed wood burning stove. Following the receipt of certification, the house is the first Passivhaus within Lewes and the wider SDNP. The Passivhaus certification process was carried out by Kym Mead at MEAD Ltd. Services design and consultancy was provided by Alan Clarke.